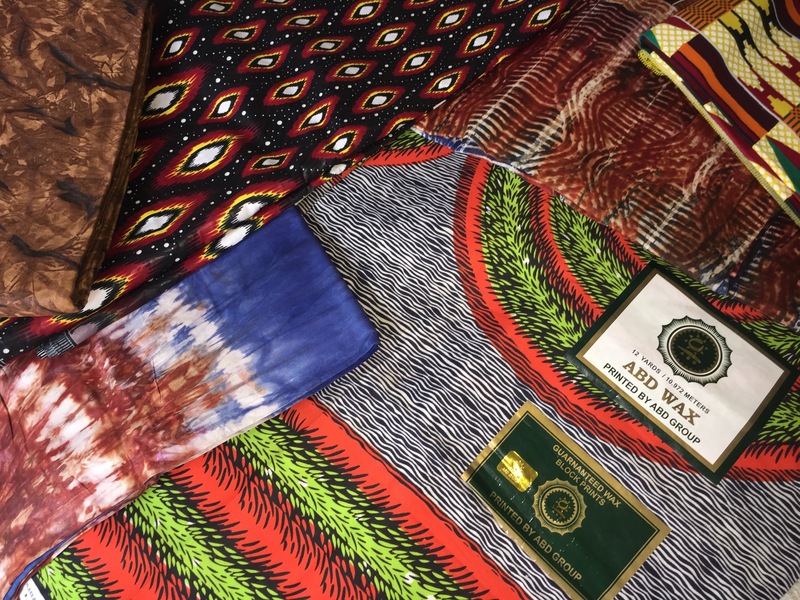 In addition to meeting new people and mentoring, style, fashion, and exploring local markets have been some of my great joys during many trips to Africa. 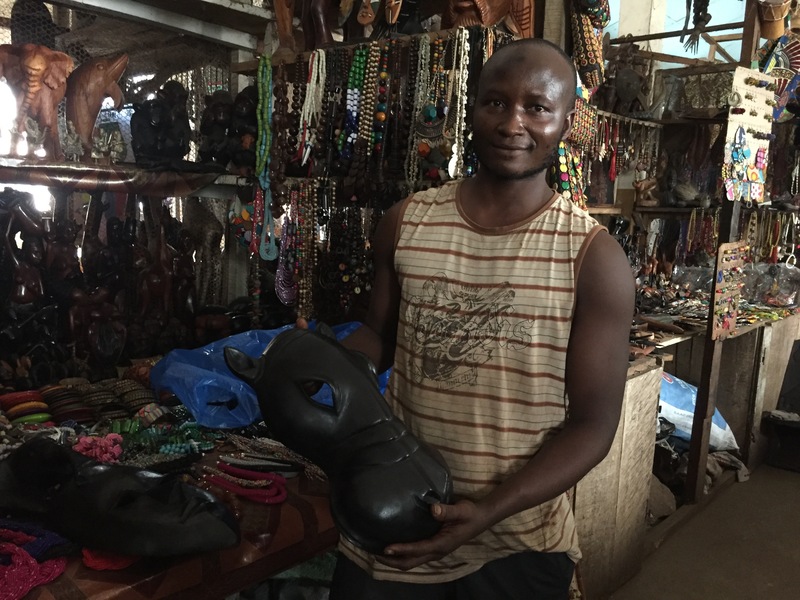 The recent TechWomen Delegation to Sierra Leone was no exception. 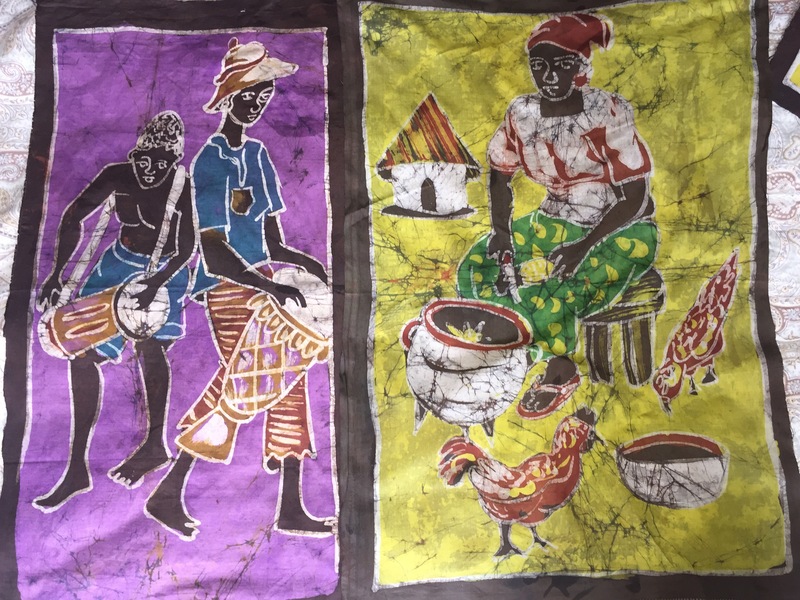 This is an update on my 2017 blog post Fabric Arts and Crafts in Sierra Leone. 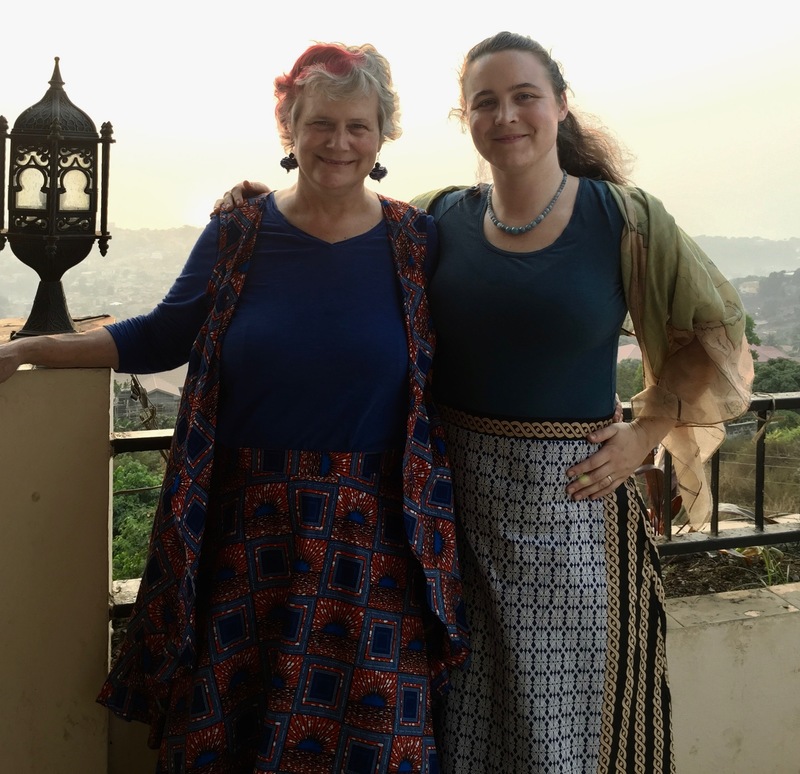 Having shopped in Sierra Leone before, my daughter Jessica and I arrived with clear ideas on what we wanted to bring home this time. 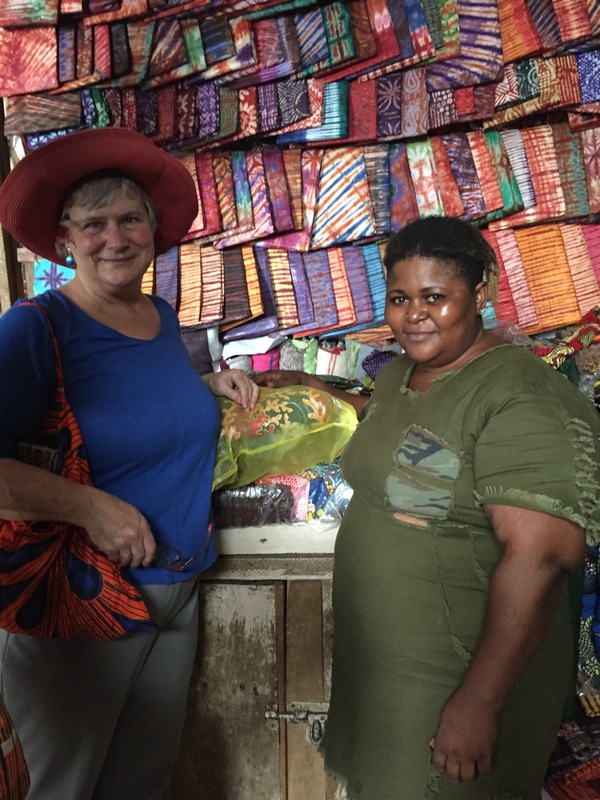 An unexpected delight was that TechWomen Fellow, Engineer, and fashion entrepreneur Michelle Sesay (of House of Cordelia in Freetown) generously offered to have clothes made to order for the TechWomen mentors. 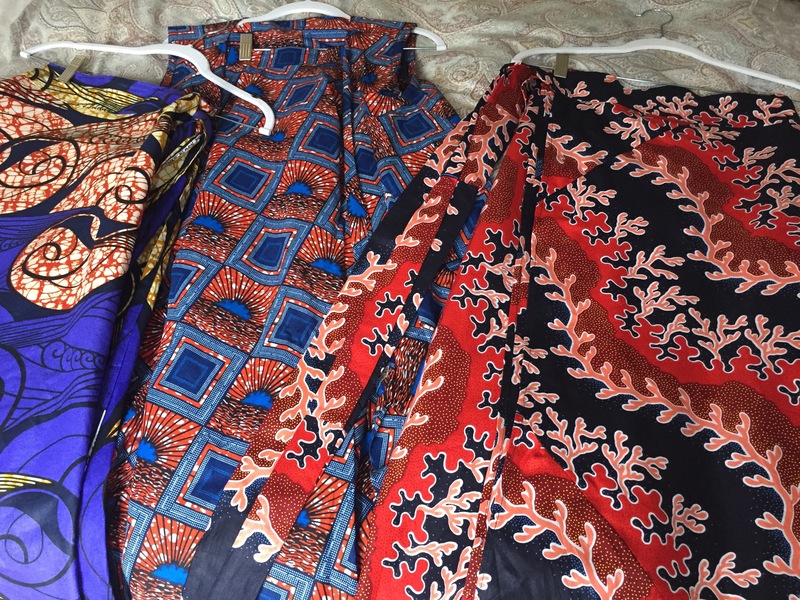 She brought fabric and some made-up samples, took our measures and design ideas, and delivered wonders. Her tailor is amazing! Jessica and I and most of the TechWomen wore our new outfits to the final dinner. 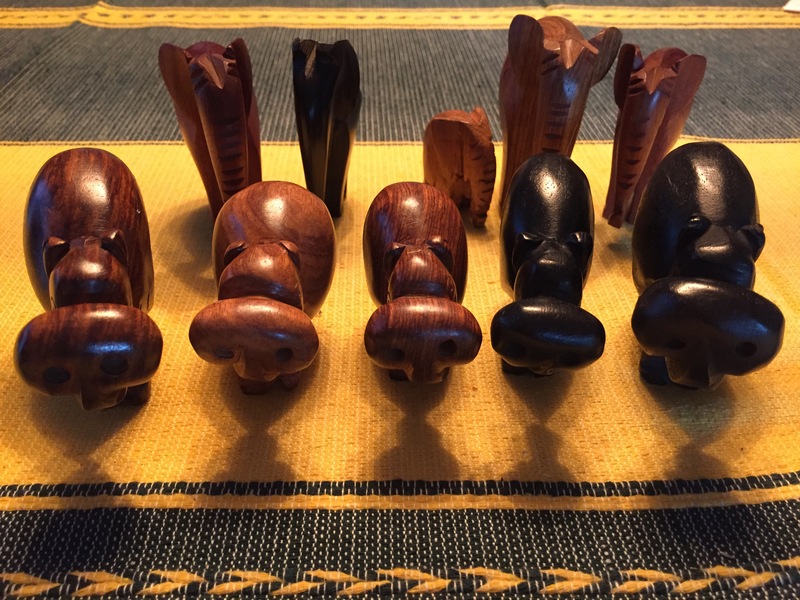 In addition, Jessica and I brought home bolts of fabric, batik, and wood carvings as presents and to decorate our homes. 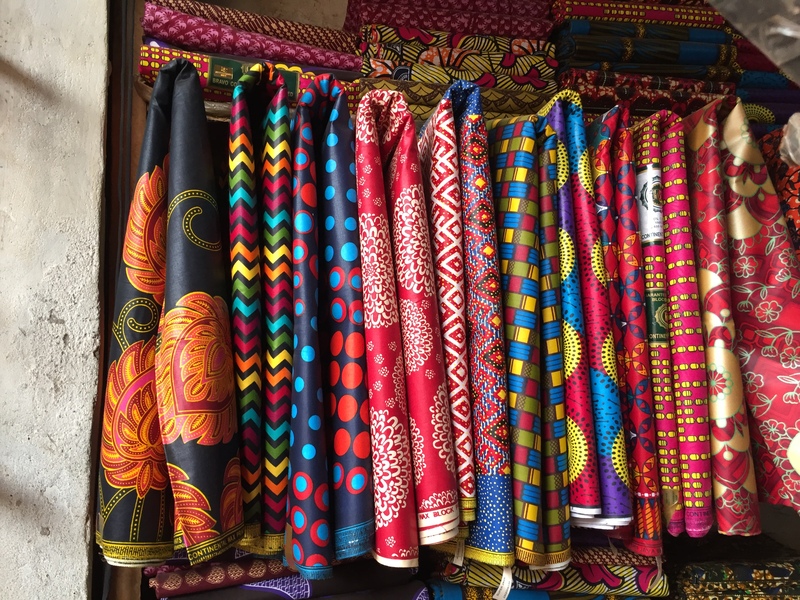 After experiencing the design and color flair in West Africa, the San Francisco Bay Area is visually boring. 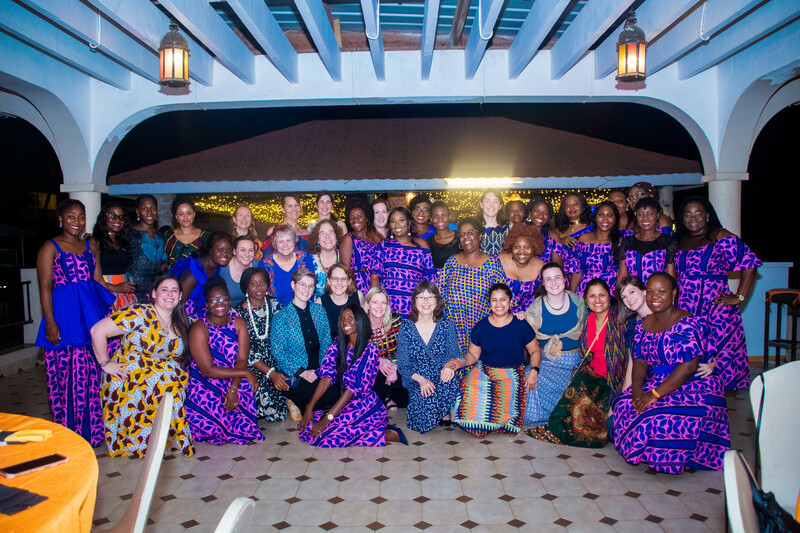 Images Copyright 2019 by Katy Dickinson – with thanks to TechWomen for the group photo!